855 entries on all aspects of cheese - historical and cultural, scientific, and technical. Every entry is signed by the author, and includes both cross references to related topics and further reading suggestions. A topical outline of entries in the frontmatter and comprehensive index in the backmatter help readers find exactly what they are looking for. An astonishing 325 authors contributed entries to the Companion, residing in 35 countries. These experts included cheesemakers, cheesemongers, dairy scientists, anthropologists, food historians, journalists, archaeologists, and on, from backgrounds as diverse as the topics they write about. Every entry is signed by the author, and includes both cross references to related topics and further reading suggestions. 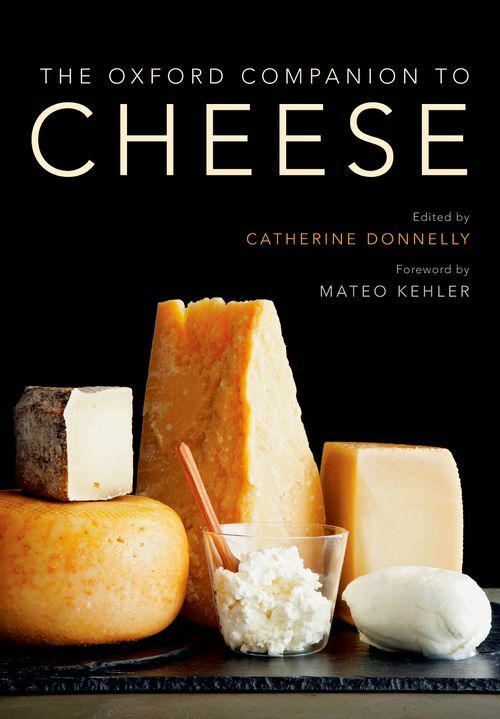 The endmatter includes a list of cheese-related museums and a thorough index. Three 8-page colour inserts and well over a hundred black and white images help bring the entries to life. Dr. Catherine Donnelly, Editor-in-Chief, is a Professor of Nutrition and Food Science at the University of Vermont. She is the co-Director of the Vermont Institute for Artisan Cheese, America's first and only comprehensive academic research center devoted to artisan cheese. She previously served as the Associate Director for the Northeast Center for Food Entrepreneurship, a research consortium between Cornell and the University of Vermont. Dr. Donnelly has been recognized by her colleagues for her many contributions to improving Listeria detection. Widely regarded as an international expert on this bacterial pathogen, she has published numerous articles and book chapters and delivered hundreds of presentations on the topic of Listeria.